Grey County's large landscape is one of our greatest assets, but, if you don't have access to an affordable means of transportation, it can also be a major barrier. Grey County is working to close this challenge through better coordination of transportation services. In 2016, Grey County received $100,000 in funding from the Ministry of Transportation to develop a strategy to coordinate rural transportation for residents. Using this funding, Grey County partnered with Home and Community Support Services of Grey-Bruce (HCSS) to pilot a better transportation system. With HCSS acting as the lead agency for the project, the Movin’GB Transportation pilot was launched in 2015. Funding for the project was extended by the Ministry until March 2018. The Highway 10 public transportation route ran twice per day on Mondays and Thursdays between Owen Sound and Shelburne. This service was free to riders over the age of 18. The vehicle was fully accessible for travelers.  Initially a provincially funded program in the spring of 2018, Grey County Council extend the service until the end of 2018, or until a decision is made by the Province on the County`s Community Transportation Fund - Municipal Stream application. Confirmation was received that the application had been successful; however, no funding was provided and the application remains under review following the 2018 provincial election. More information will be shared once the Province has made their final decision on the funding application. 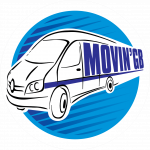 Movin’GB is a support service which provides rides to non-emergency medical appointments, shopping, banking, and various social activities and programs. This service may also be used for long distance medical appointments to out of county medical centres. Transportation needs to be kept affordable. The cost of a ride with Movin’GB is $10 for round trips under 20km. Trips further than 20km have a flat rate of $0.45 per km. At the core of the Movin’GB pilot was a sophisticated computer software to coordinate passengers and vehicles. Residents looking for rides have a single point of contact for arranging a trip from multiple service providers. The software sorts the needs of all passengers and calculates the most efficient routes for drivers. This means less time spent waiting around by drivers and better access to rides for passengers. Seniors and people living with disabilities are eligible to participate in the Movin’GB pilot. To arrange a ride, passengers can call 1-888-660-6048 between 8:30 a.m. and 4:00 p.m., Monday to Friday. For now, the pilot is focusing on the underserviced areas in Owen Sound and the Municipalities of Meaford, Town of The Blue Mountains and Grey Highlands. As the pilot progresses it may be extended to other areas of the county and more riders. Ontario Works and Ontario Disability Support Program recipients in Grey and Bruce counties can access Grey County’s transportation services to get to employment related, casework and medical appointments. These rides must be scheduled in advance and are completely free. In an effort to maximize service, Grey County will soon be using the Rural Transportation Pilot’s scheduling software. If you need to arrange a ride contact Mark at 519-376-7112 ext.1350. Grey County and Home and Community Support Services Grey Bruce (HCSS) have launched a coordinated rural transportation pilot to help seniors and people with disabilities find affordable transit. Complete our short survey for a chance to win a $50 grocery gift card. A new pilot transportation route on Highway 10 to run Mondays and Thursdays until March 31, 2018.